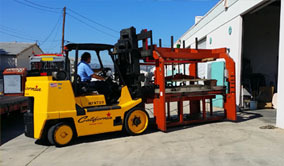 At Compton Machinery Movers we strive to provide more than just a heavy transport equipment services can, and all at affordable rates that top the larger machinery moving competition in Los Angeles. 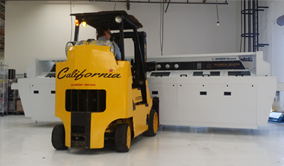 We are a commercial machinery moving company specializing in hauling small to mid-sized equipment for local businesses in Los Angeles at an affordable cost. Consider us a small company with a fleet of three rigs, five experienced riggers, along with a friendly staff always here to answer your questions and quickly provide quotes in writing. 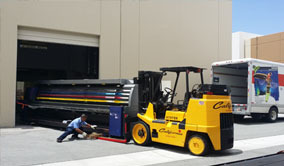 We strive to deliver much more than single truck machinery movers while offering much better rates than many of the larger machinery moving corporations here in California. Our larger competitors charge higher rates for less service. 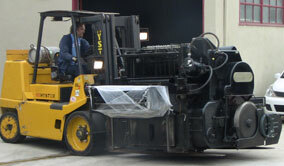 At Compton Machinery Movers, we guarantee the lowest prices for moving equipment locally or across country. Whether you’re relocating your business, opening a new site, or you have a heavy duty job, you can trust that Compton Machinery Movers provides affordable relocation services! 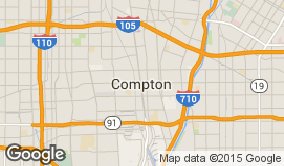 From West Compton to Hamilton, Longwood to College Square, Willowbrook to Watts, Lynwood to Jordan, and all that?s in-between, Compton Machinery Movers guarantees affordable industrial equipment relocation with a personal touch. You can also depend on us to provide affordable and reliable cross-country transportation.